Titan Tire Corporation, a subsidiary of Titan International, Inc., will be hosting a tire auction for Nebraska FFA at Husker Harvest Days on Wednesday, September 16, 2015. In its third year, the 2015 auction will also include a John Deere Gator, sponsored by four John Deere dealers in Nebraska. 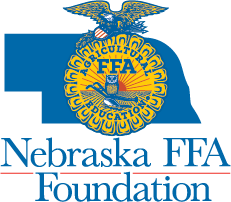 Last year, the first Nebraska FFA auction hosted by Titan Tire brought in almost $39,000 for the Nebraska FFA Foundation. “With such a strong turn out last year, we are excited to add a John Deere Gator to the auction to take the auction to new heights,” says Stacey Agnew, Nebraska FFA Foundation Executive Director. •	Sign in at the FFA registration desk for a bid number to participate in the auction. Cash, check and credit cards will be accepted. •	Starting at 11:00 a.m. on Wednesday, September 16, event-goers can place bids on a selection of Titan and Goodyear Farm tires for everything from skid steers and backhoes to implements, tractors and combines, as well as a John Deere Gator. The highest bids win and all proceeds support Nebraska FFA members. •	The list of tires and details on the Gator can also be found at here. Questions? Contact Sarah Mullen, Nebraska FFA Foundation Program Manager at 402-472-5224 or sarah@neffafoundation.org.